Daily Baby Finds - Reviews | Best Strollers 2016 | Best Car Seats | Double Strollers : Tea Collection Memorial Day SALE - 20% Off + Free Shipping! Tea Collection Memorial Day SALE - 20% Off + Free Shipping! 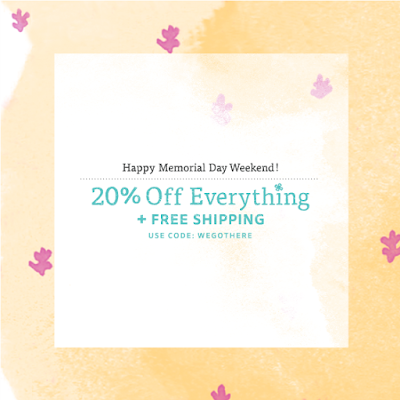 Tea Collection, one of my favorite kids clothing brands, is running a Memorial Day Weekend promotion - 20% OFF EVERYTHING + FREE SHIPPING. Use code WEGOTHERE at checkout. Valid through 5/25/15. world-inspired styles currently on sale at Tea.